The Internet is still going berserk about the seeming low key traditional marriage between Adekunle Gold and Simi. The newly wedded couple, who are also colleagues, decided to opt for a private marriage involving only family and close friends. About 300 guest were invited to be witness of the lovely marriage between the two. Somehow, photos and videos from the event have not be freely available to the public. Nonetheless are few were leaked. 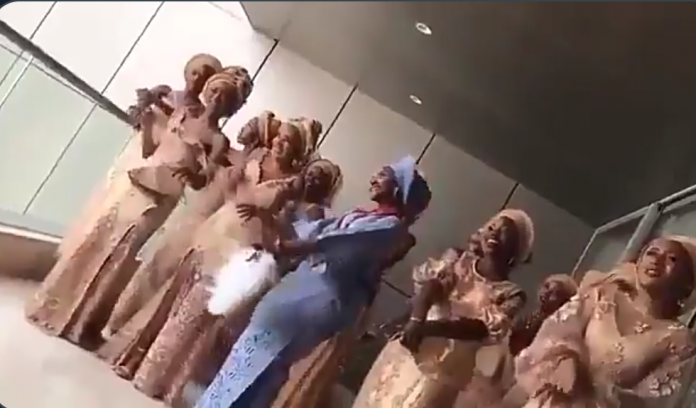 The first is when Adekunle Gold and Simi hit the dance floor for couple’s dance and a second footage shows Simi adorned in her attire with her bridesmaids.